"An extraordinary book... deserves to be taken seriously." - International Herald Tribune. "A very thought provoking read! Whether or not she was really Anne Frank in another life, I do not doubt Karlén's sincerity." - Rabbi Yonassan Gershom, author of Beyond the Ashes and From Ashes to Healing. 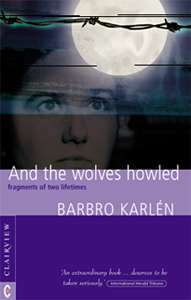 And the Wolves Howled is the story of one woman's superhuman struggle for truth in the face of discrimination and lies.